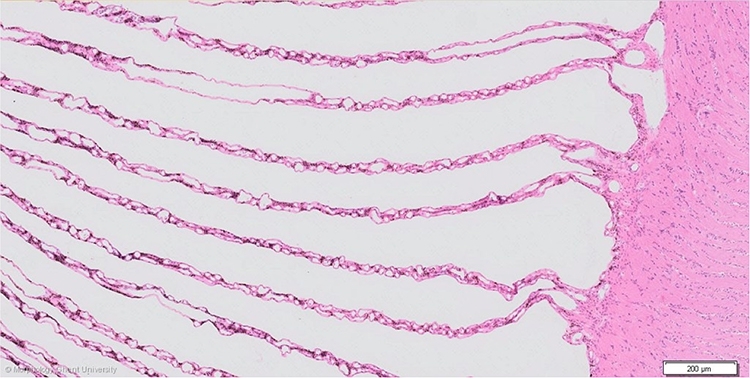 The pecteneal pleats consist of a complex vascular network of larger blood vessels and specialized capillaries with pigmented intervascular tissue in between. A single artery and vein run along the base of the pecten and give of one branch to each fold. The branch artery and vein passes up through the fold to form the vasculary network.